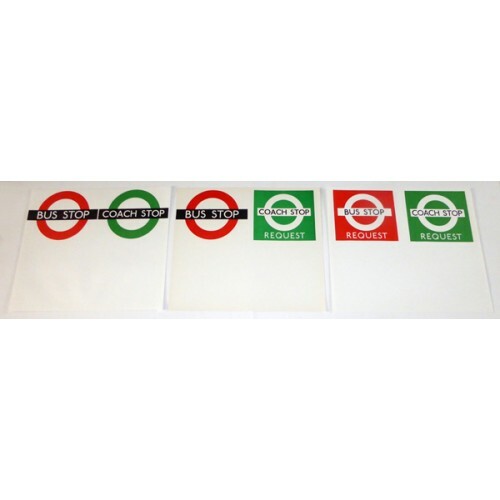 This is a set of 7 different London Transport paper 'To & From' slips as used on RT vehicles from the 1950s through to the 1970s. These slips were pasted onto a slip-board positioned next to the driver above the bonnet, and were a way of advertising important places or special events along the route. They ceased being used in the 70s, and the last RTs ran in regular London service in 1979, but some of these would have been produced for routes that last saw RTs much earlier. 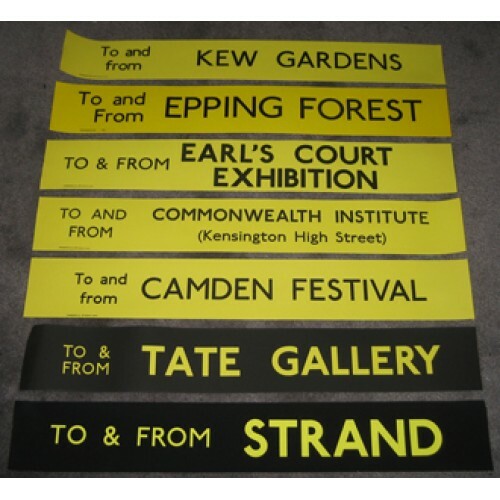 To and From Tate Gallery (black background). They are approximately 25 inches (405mm) wide x 3½ inches (355mm) deep and will be sent rolled. They are in very good unused condition, but as they are old and have been in storage for over 40 years they may have very slight marks or nicks at the edges. This set has the largest number of different slips that I now have as many destinations have now run out, so don't miss this opportunity. Some sellers are charging £15 for just one slip (plus postage)! 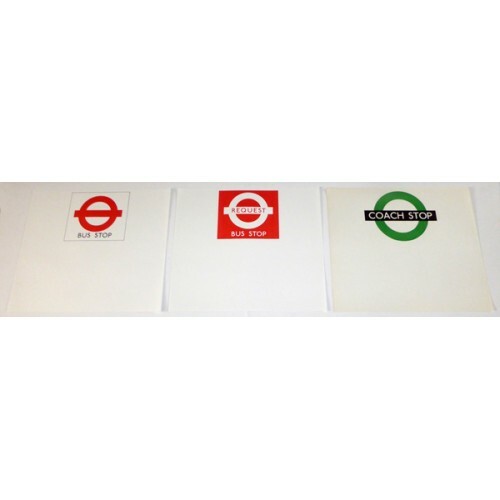 This is a set of 3 paper temporary bus & coach stop flags dating from the 1960s/70s. One is for ..